I’m so excited to get stuck into the wonderful weddings we have booked in over the coming months. To put into action all the ideas I have discussed with couples at their wedding flower consultation is the biggest joy. 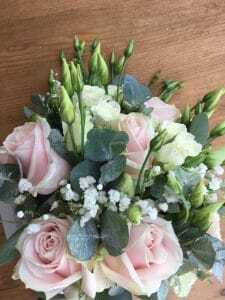 The first big wedding flower order has gone into the flower market this morning, with the focal flower being one of my favourites, the Soft pink Sweet Avalanche Rose. Working at so many wonderful Wedding venues all over Leicestershire I cant wait to share photos of the finished wedding flower designs. For more information about my Wedding Flowers service please contact me.